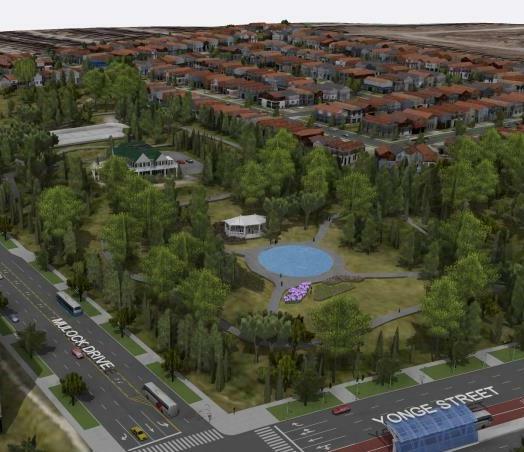 The Town of Newmarket purchased the 11 acre Mulock Estate, built in 1880, at the corner of Yonge and Mulock and will take full possession in October of 2018. Sir William Mulock was first elected to the House of Commons in 1882 and he was the Postmaster General in the Laurier cabinet 1896-1905. This house is arguably the most important heritage building in the Town of Newmarket. There is no question that the purchase of this farm represents a significant investment by the Town of Newmarket. This investment is not only an investment in a Heritage building and what will be a beautiful park – it is an investment in our future. No one will look back in 20 years or 50 years or 100 years and say ‘that was too expensive’. Protecting one of the last significant greenspaces in Newmarket was something that had to be done. We need green space in our urbanizing environment and we need public spaces for an increasing population. We had to make a forward looking, bold decision to protect the house and the greenspace forever and we did just that. This purchase will allow the Town to develop and build out a vision for a ‘central park’ which can include walking trails, a one kilometre skating trail, and an outdoor arena. This public park will be surrounded by magnificent mature trees and will offer all of the residents of Newmarket a place to relax and a place to play. This will become even more than what the Riverwalk Commons offers us today. I personally want to say that I am very excited to have participated in this decision. I believe this is the most important decision I have been a part of in my 12 years on Council. Generations of Newmarket residents will look back with pride that their community decided to save this important house and property and preserve it forever. The next term of Council has a huge responsibility to design and develop the property to make it the best it can be for generations to come. I am both ready and excited to take on that responsibility. "John Taylor is an independent thinker who assesses all sides of an issue before making a decision. He is dedicated to the environment and focuses on making Newmarket an environmental leader in the new economy. Furthermore, his personal lifestyle embodies these environmental traits." Copyright John Taylor 2019. Website Designed and Developed by RC Design. To get in contact with John through email, please fill out the form below. To request a sign, please fill out the form below.